Taipei, 1 August 2018 – According to the United Nations’ “World Urbanization Prospects”, 70 percent of the world’s population will live in urban areas by 2050. In Taiwan, the urban population is predicted to reach 90 percent. 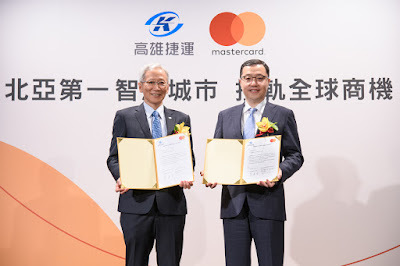 As the leader in global payment technology, Mastercard takes advantage of its global expertise in open-loop payment systems to partner with Kaohsiung Rapid Transit Corporation (KRTC) to sign a contract today that seeks to improve city livability and convenience; and more importantly, establish Kaohsiung as one of North Asia’s leading smart cities. Accordingly, the partnership will see the implementation of an integrated transit payments system on KRTC’s public transportation system – a first for Mastercard in North Asia – powered by Mastercard’s open-loop technology and KRTC’s payment system. According to statistics from the World Bank, cities generate 80 percent of global Gross Domestic Product (GDP). Although urbanization has created many opportunities, governments around the world are facing challenges to better the quality of life of urban dwellers and maintain high transportation efficiency as well as creating business activities. Open-loop payment systems powered by innovative technology have become a crucial aspect when building smart cities. Mastercard addresses the urgent needs and pain points of governments, businesses, and consumers to devote to all kinds of innovative technologies and assist governments worldwide in creating smarter cities. It enables government entities and partners to provide residents with more efficiency and accuracy in urban management and increase an economic environment with higher productivity and inclusiveness through the help of big data analysis and digital payment options. “Catering to the trend of international payment around the world, the development of open-loop payment systems and connection with payment channels have become the crucial threshold for entry to the international market and stay connected with the global community. We believe our cooperation with Mastercard is the first step for us to connect with global opportunities. KRTC has committed to "Innovation" and "Service" in recent years and witnessed progress. However, we are always seeking to provide better services through exploring state-of-the-art technologies. This time, we partner with Mastercard and Union Bank of Taiwan to develop an integrated digital payment system with the aim to achieving our ultimate goal, which is to provide the most convenience to travelers and change commuters into loyal customers. 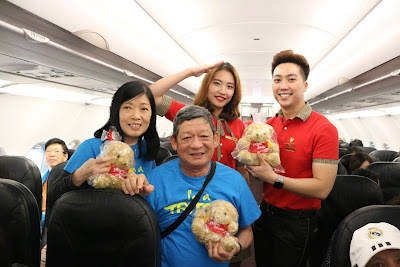 We expect to open the door of convenience to both domestic and international travelers by offering seamless travel experiences for Mastercard cardholders supported by cutting-edge multiple payment options!”, said C.S. Hao, Chairman of Kaohsiung Rapid Transit Corp (KRTC). Mastercard has partnered with over 100 cities globally to create a global network of smart cities and actively shares its sufficient experience regarding innovative payment with major cities around the world. Mastercard has achieved remarkable success in metropolises around the world, including New York, Singapore, Chicago, Sydney, and London. For instance, in globally-renowned tourist city-London, Mastercard has cooperated with its government department to use the open-loop payment systems to reduce the risk of counterfeit cash and process of cash inspection, which has helped London’s railway system, Transport for London (TfL), to reduce its total operation cost by 6 percent. The contactless payment technology of Mastercard enables cardholders to tap through gates within 0.5 seconds, and the convenience has boosted the usage percentage of TfL. Successful cases around the world again prove the advantages of open-loop payment systems towards users, merchants and local governments to help raise efficiency and convenience. Aligning with the national policy directory “Digital Nation, Smart Island,” Mastercard introduces open-loop payments technology into Taiwan for the first time and expects to launch the system on the red and orange lines of KCRT at the end of the year. KCRT’s passenger traffic reaches 5 million each month and acts as the major transportation hub in the development of Kaohsiung. With Mastercard’s open-loop payment systems technology, travelers and locals can enjoy the contactless payment service through the tap of a Mastercard contactless card. Mastercard cardholders will neither have to bring extra cards nor queue up in lines for ticket purchase, and travelers will not need to carry cash around, which will enhance the quality of travel experiences. Furthermore, Mastercard will combine its security expertise and global network with resources from KCRT and Kaohsiung to create KCRT’s smart living environment and drive the city’s development as a whole by pushing Kaohsiung onto the global stage to become a member of the global smart city network.